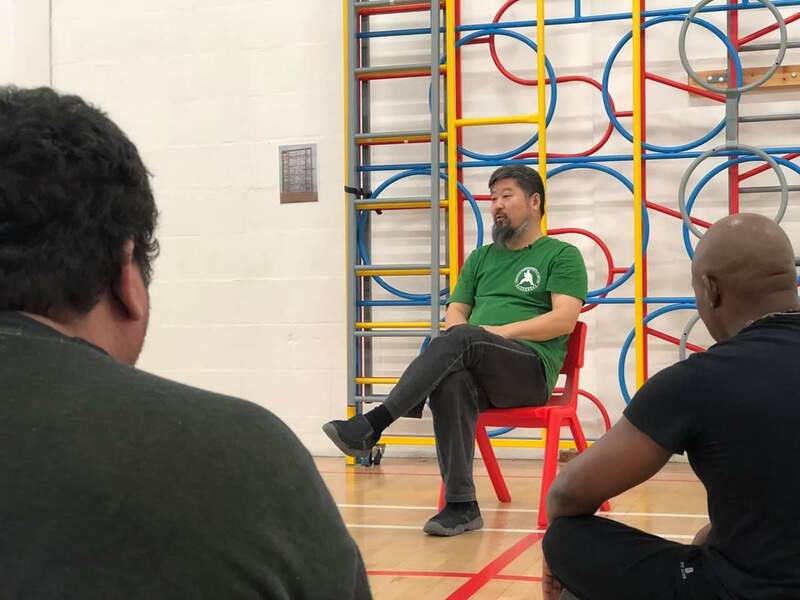 We were privileged to learn from Master Chen for the second time in London, two weeks ago. As probably the youngest student there by about 10 years, I will give my take on a little of what I learned over the two-day workshop. Similarly to last year, I felt that the key emphasis and learning points were less technical intricacies (though these were certainly plentiful), but more methods of learning and training. So, I will focus mostly on these. Master Chen’s very first lesson to us that weekend was to remind us of a principle of the way of learning. Having demonstrated the first 13 moves of Yilu 3 or 4 times, he asked us all simply “what did you see?”. 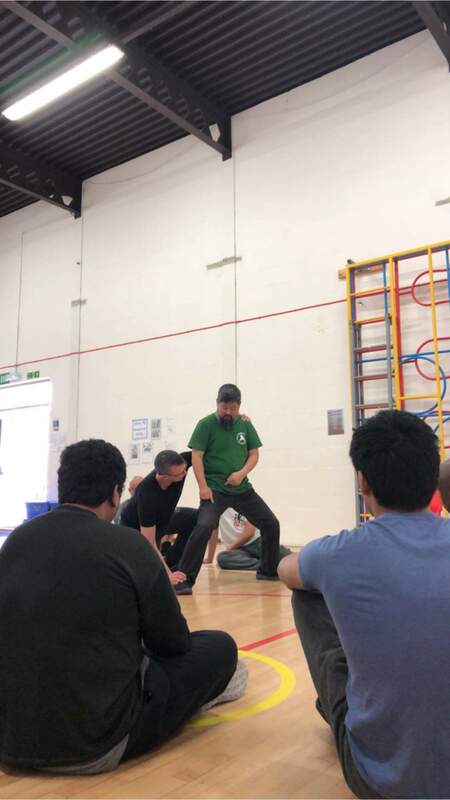 Each of our responses varied from things like “you focused on moving from the hip/kua”, “you did the form at different speeds”, “you made isolated movements”, and so on. And here he exposed our first mistake: each of us only focused on precisely what we were looking for in his movements, at the expense of everything else! Whatever we are looking for, we will not find. And the parts we ignore, we can never know whether they may be useful. Therefore, we must look only at what is being shown, simply, without trying to analyse. This sentiment was echoed several times throughout the weekend. When we were practising the foundations like ‘twisting the towel’, many of us would add movements that Master Chen did not mention. 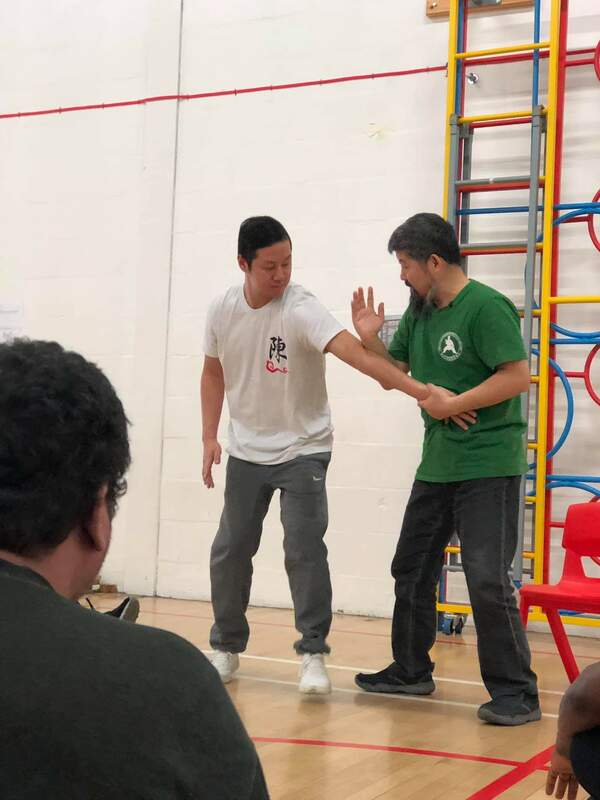 He emphasised focusing the intention on a specific movement that he had described (for example pushing the elbow into the hand), and nothing else. I recall him describing a similar notion last year, when he reminded us “don’t add any movements”. This may not have changed the movement visibly, but where one focuses their intention will direct how the training progresses; if one is focused on achieving a turning motion with the arm to begin with, then there will never be a connection between the elbow and hand, for example, as the basic foundation on which to build. This of course leads onto the concept that Master Chen probably repeated the most over the weekend: “don’t move”. That is, there is a specific ‘degree of freedom’ or “channel”, as he described at one point, that each body part is able to move within. For some, during some particular motions, this will be none at all. For others, it will be only along one plane. But the intention must be to only move the part that is required: for example, we practiced this with the foundation exercise ‘fetch water’. The intention here was moving only from the kua (and we discussed what this meant for people like me who did not understand the Chinese terms! ), and not moving the shoulder, for example, even though this was where an effect might take place. So this is the method of generating power; at least one spot must be fixed without movement. As I mentioned above, I will not try to explain in words any of the technical details that we learned. To do this would be to analyse and reframe the movements into my own interpretation, and in the process losing some of what was being taught. 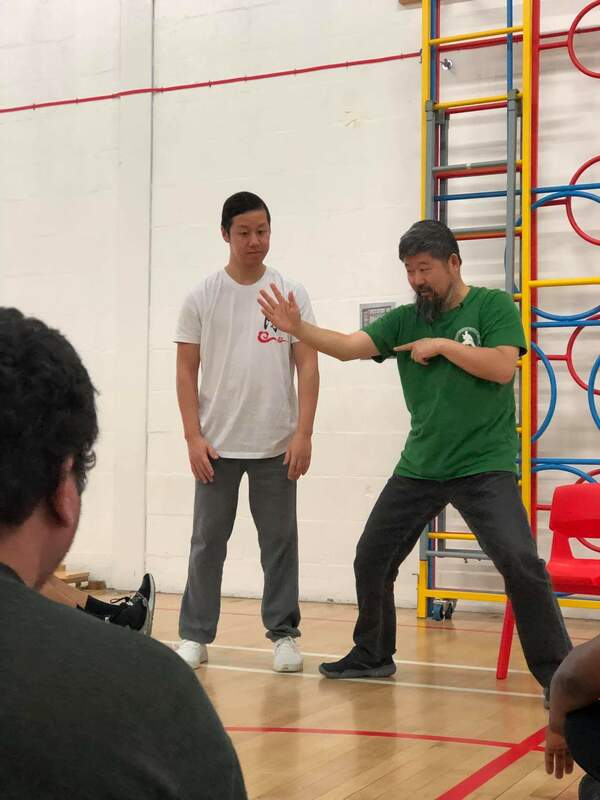 Instead, Master Chen described a concept of “catching the feeling”: for every technique he demonstrated and we practised, we should remember and note what it felt like. And our training should focus on this feeling, because we can be sure this was correct when we had the feedback of the teacher. Perhaps we might slightly distort this memory, it will of course not be perfect; but it will better represent the correct movements than one’s own interpretation and analysis. Analysis can only come after training and “laying the tracks upon which the train can run”, which can only be done after catching the feeling that this training should aim for. 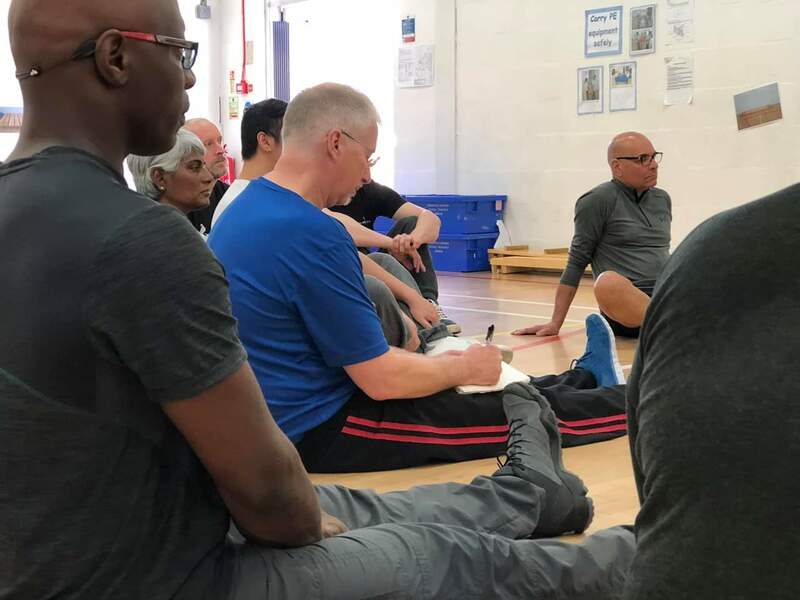 Therefore the key learning point has not yet been realised: the learning and understanding can only come from practising and training until the method of movement becomes ingrained into our body. 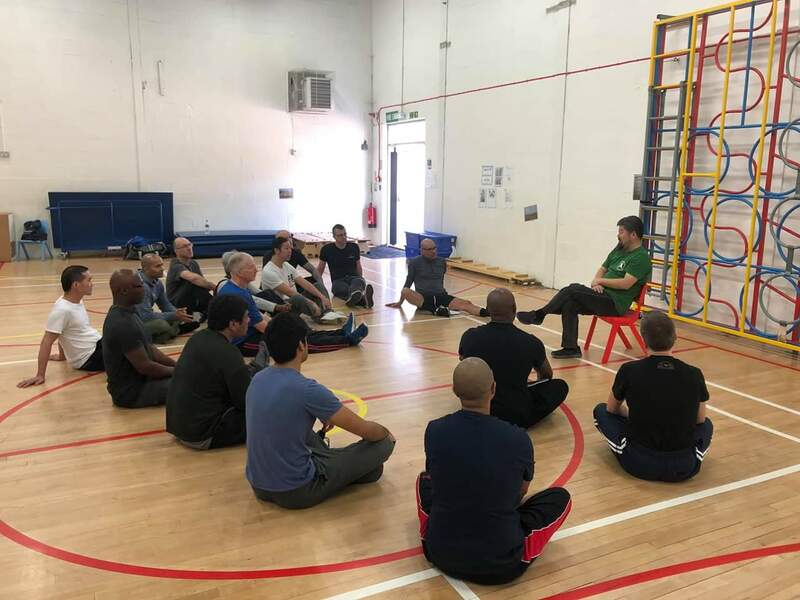 Master Chen reminded us of the necessity of creating a training group, with others who can give us tactile and visual feedback. This is the way to ensure that our consistent training will continue on the correct path.